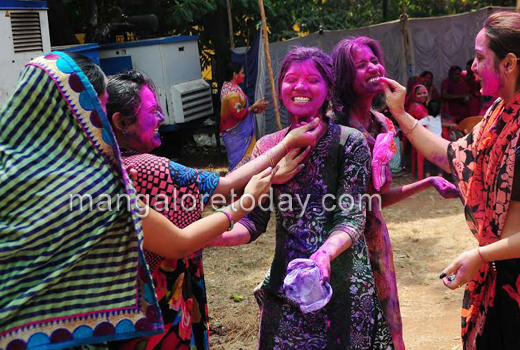 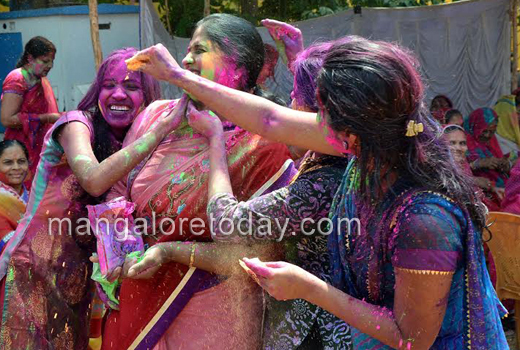 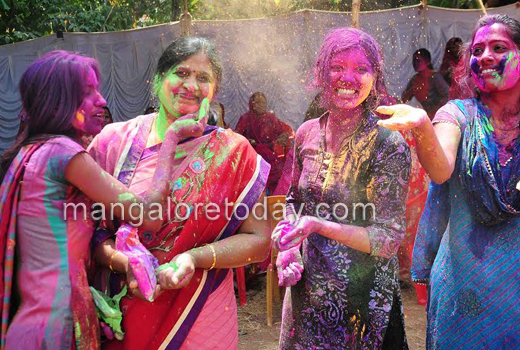 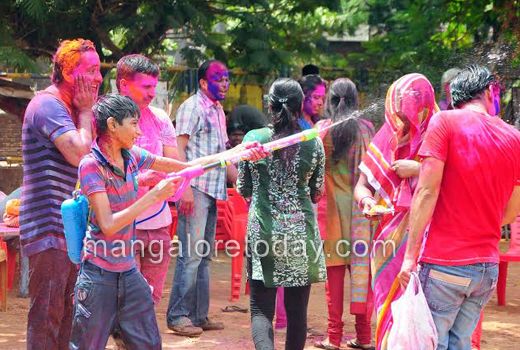 Mangaluru, Mar 7, 2015 : The festival of Holi which heralds the arrival of spring and commemorates the legend of triumph of good over evil was celebrated with traditional fervour in Mangaluru as elsewhere in the nation on March 6, Friday. 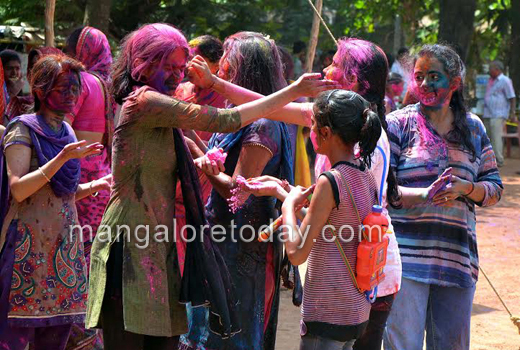 Clothes were dyed with myriad hues as hugs and embraces were exchanged in lanes and bylanes to mark Holi, the festival of colours, which was celebrated with gusto and bonhomie. 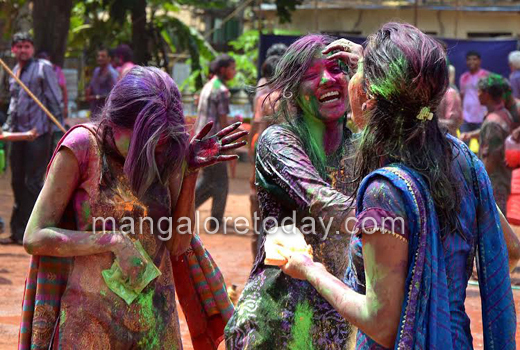 There was fun and frolic galore and youngsters danced to the beats of drums as they splashed colour water at each other.